The history of the Pontifical Catholic University of Rio Grande do Sul begins with the arrival of the Marist Brothers in Brazil. 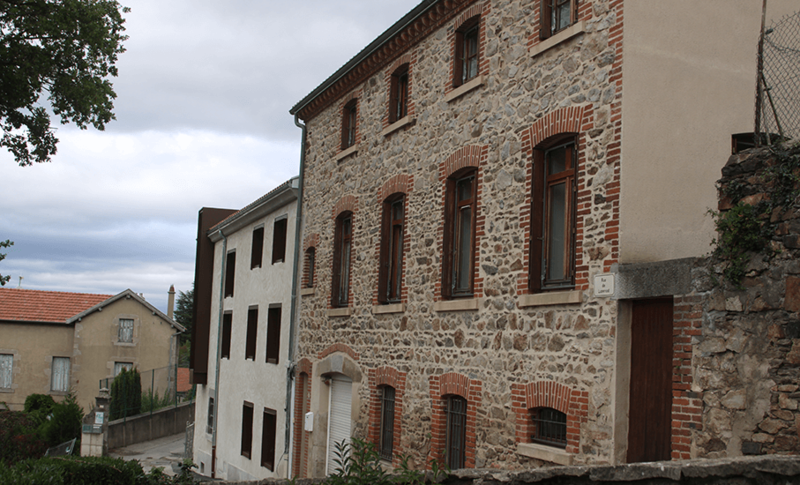 This religious congregation was founded by St. Marcelino Champagnat in La Vallá, near Lyon, France in 1817. In 1900, the first Marist brothers arrived in the town of Bom Princípio, RS, following a request by Dom Cláudio José Gonçalves Ponce de Leão, the Bishop of Rio Grande do Sul. Afterwards, several other Marist Brothers came from Europe, with the ideal Marist style of education in mind. As they settled in other towns, they also opened up Schools wherever they found there was the need for one. In 1904, Escola Nossa Senhora do Rosário was opened on the premises of the church of the same name, with Monsignor Hipólito Costabile in charge of the parish. 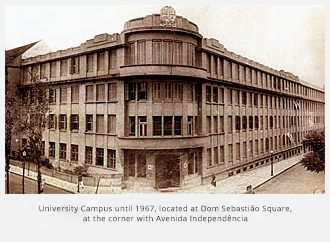 A few years later, in 1927, the School was transferred to Dom Sebastião Square, on the corner of Independência Avenue. 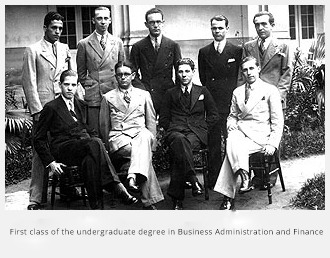 The School of Commerce, under the leadership of Brother Afonso, was soon to be acknowledged as an outstanding institution. The students, who graduated as certified accountants and wished to continue their studies towards a college degree, advocated the foundation of the School of Political and Economic Sciences. In March 1931, this School was opened with nine students, and was the first step towards the creation of the University. The project of the Marist Brothers, led by Brother Afonso, relied on the support of several other educators, such as Brother Faustino João, and professors Eloy José da Rocha, Elpídio Ferreira Paes, Salomão Pires Abrahão, Francisco Juruena, Brother José Otão and Antônio César Alves. In 1940, the School of Philosophy, Sciences and Letters was founded, followed by the School of Social Work in 1940, and the School of Law in 1947. These four Schools constituted the Marist Brothers’ civil institution and were collectively given the name of União Sul Brasileira de Educação e Ensino (USBEE), to be certified as a university by the Ministry of Education. On November 9, 1948, Brazilian President Eurico Gaspar Dutra signed Decree no. 25794, by which the Schools were consolidated as the Pontifical Catholic University of Rio Grande do Sul, the first university in the world founded by the Marist Brothers. 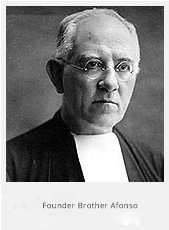 On December 8, 1948, the first Administration Board was seated by Dom Vicente Scherer, who was the Archbishop of Porto Alegre and the Chancellor of the University; the Board was in office from 1948 to 1951, and was composed of: President – Armando Pereira da Câmara, Vice President – Brother José Otão, Dean of the School of Political and Economic Sciences – Francisco Juruena, Dean of the School of Philosophy, Sciences and Letters – Antônio César Alves, Dean of the School of Social Work – Mário Goulart Reis, Dean of the School of Law – Armando Dias de Azevedo. 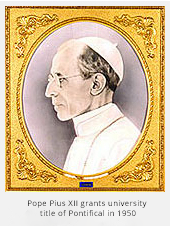 The University Sponsoring Institution together with Archbishop Dom Vicente Scherer requested Pope Pius XII to grant the University the title of “Pontifical”, and this was put into effect on November 1, 1950. All the work undertaken by the Marist Brothers has always been characterized by obedience and respect for the guidelines issued by the Pope. Therefore, the creation of the University would only be fully accomplished upon being granted this title, which signals steadfast devotion to the Vatican in Rome. As a Pontifical University, the Archbishop of Porto Alegre is its Chancellor, today Dom Dadeus Grings. The previous ones were Dom Vicente Scherer (1948 to 1981), Dom Cláudio Colling (1981 to 1991) and Dom Altamiro Rossato (1991 to 2001). The Presidents of the University that followed Armando Pereira da Câmara (1948-1951) were Professor Canon Alberto Etges (1951 – 1953), Brother José Otão – José Stefani (1954 – 1978), Brother Liberato – Wilhelm Hunke, who occupied Brother José Otão’s office for a short period of time (May 2, 1978 – December 29, 1978), Brother Norberto Francisco Rauch (1979 – 2004) and Brother Joaquim Clotet (2004-2016). 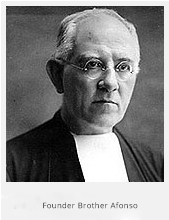 Today, Br Evilázio Francisco Borges Teixeira has served as President. He took office in Dec 2016. Until 1960, the University shared the same area with Rosario Elementary and High School. 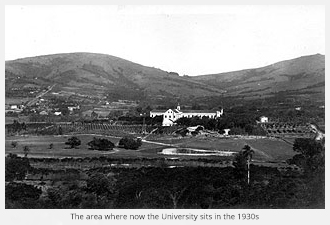 As it grew, it was necessary to move to a larger area, and it was decided that the University Campus would be built on the land owned by the Sponsoring Institution in the Partenon neighborhood, where Colégio Champagnat was established. 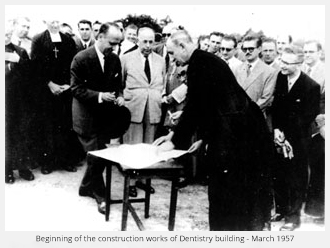 In March 1957, the groundbreaking of the School of Dentistry took place and, eleven years later, President Arthur da Costa e Silva attended the solemn inauguration of the University Campus. Transferring the University Schools to this site gradually began in 1960. The difficulties encountered by the first groups of students were due to precarious transportation and all things involving pioneer construction. The grand opening of the School of Dentistry and the School of Engineering took place in April 1962. As other buildings were finished, other units were transferred from the downtown campus, and soon, this new campus accommodated the third private Brazilian University with Pontifical status run by the Marist Brothers. In the following decades, PUCRS got bigger and settled in a quiet and peaceful environment surrounded by green areas, which included the São Lucas Hospital. The University has built up the image of an institution of teaching and research and is regarded as one of the best universities in the country. Because of that, it is a reference in several academic areas and enjoys popularity in the five continents of the world. As the University expanded, more and more buildings and facilities became necessary and were constructed. With the opening of the School of Medicine in 1970, building a university-hospital that is home to undergraduate and graduate internships, became a pivotal issue. 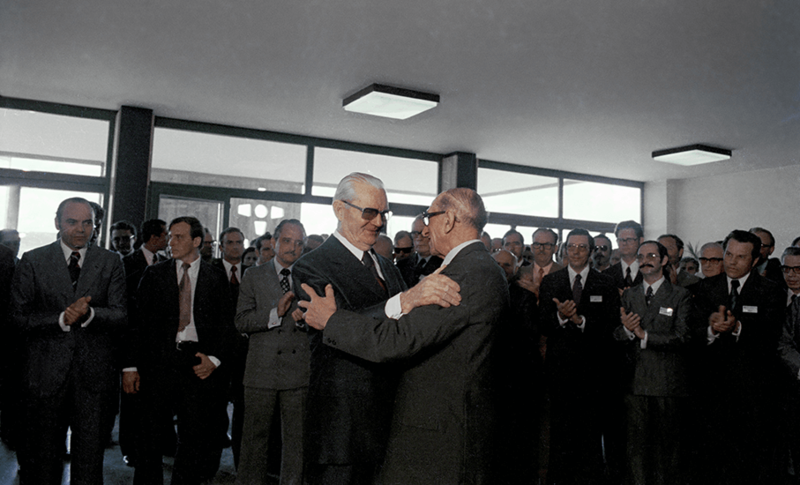 After a study of needs assessment was conducted and the urban master plan was put together, the construction began in 1971 and the São Lucas Hospital (HSL) opened its doors on October 29, 1976 by Cardinal Dom Vicente Scherer, President Brother José Otão and the then-president of Brazil Ernesto Geisel. It was the first venture of the Marist Brothers Institute in the world. Later, it was made clear that bringing the hospital and medical offices closer together would enable those physicians who were also university professors to move more quickly between jobs. Thus, in November 1988, an innovative Medical Center with 120 offices was inaugurated. Under the mandate of its hardline President, Br. Norberto Rauch, the University started taking a safe path to accomplishing major projects in the future, which are now a reality. Rauch’s entrepreneurial spirit was unquestionable. 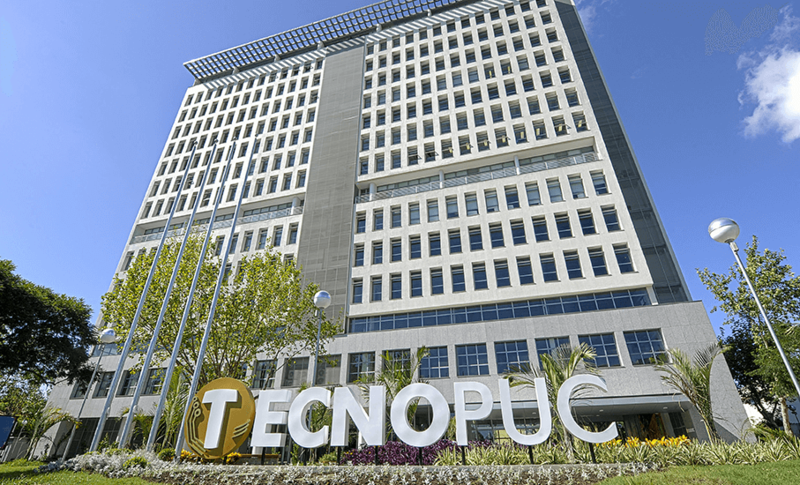 He materialized major projects of which the locals of Rio Grande do Sul are proud: Tecnopuc, a reference as a Science and Technology Park; the Science and Technology Museum, known for its interactive experiments in several areas; the Sports Park, which is home for several sports; the new Main Library, one of the largest in Latin America, as well as other environments for learning practices. In his 26-year mandate (1978-2004), PUCRS took a qualitative leap. Another distinctive factor was the focus on faculty, researchers and staff. After facing the financial imbalance during the military dictatorship, the institution managed to increase the pay of its employees, offer benefits and move forward to a deeper transformation. On the verge of the turn of the century, collective efforts were geared towards the commitment to working on the development of people rather than only professionals. People who would be capable of observing the principles and values that are essential to a just and fraternal society: that was the motto of the founder of the Marist Institute, Saint Marcellin Champagnat. In 2004, in view of the enormous challenges posed by the new millennium and with an eye to the mission of remaining faithful to the principles of an educational institution, Br. Joaquim Clotet took office as president (2004-2016) and began to sort out priorities as the institution was then into the contemporary world. His mandate was anchored in four pillars: quality; entrepreneurship; integration between teaching, research and extension; and relationship with society. As the institution celebrates its 70th anniversary, the president Br. Evilázio Teixeira is in the forefront of a robust university. Its robustness is the legacy of the presidents who preceded him and who planted the seeds of the dreams of its founders. 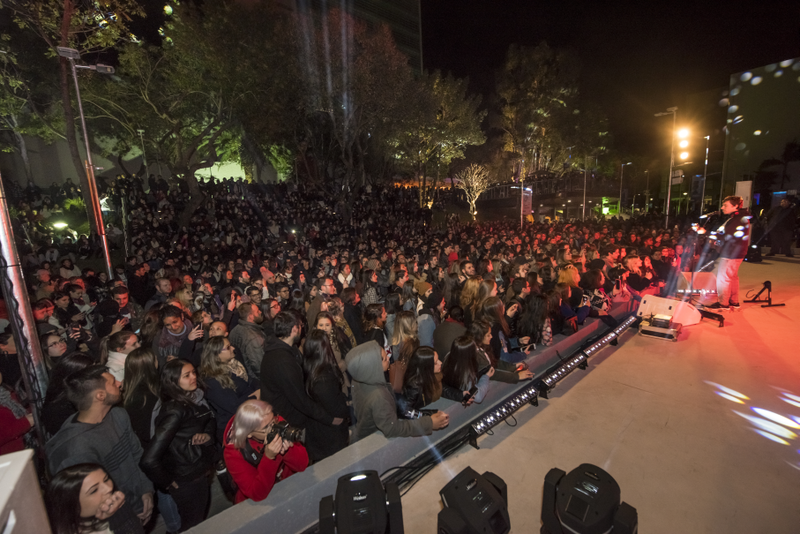 In 2017, he implemented the movement PUCRS 360° – University in transformation, in an effort to earn students more autonomy in their academic career, new directions for a different academic experience and more recreational areas and areas to study around Campus, such as the Rua da Cultura (Cultura Square).